Hollywood. July - December 1967. Released by The Byrds in 1968. The recording of the album was marked by dissension among the band members, and two of the band's four original members had left the group by the time the LP was released. David Crosby was reportedly fired by other members after their refusal to include some of his songs prompted him to absent himself from recording sessions; drummer Michael Clarke later quit the group in apparent dissatisfaction over the material chosen by Roger McGuinn and Chris Hillman. 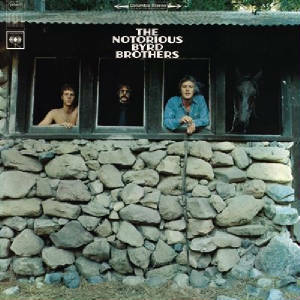 The Notorious Byrd Brothers' initial sales were weaker than any of the group's previous releases, reaching only forty-seven on U.S. charts (but reaching twelve in the U.K.). "Goin' Back" was the group's last single to approach the higher reaches of the charts.